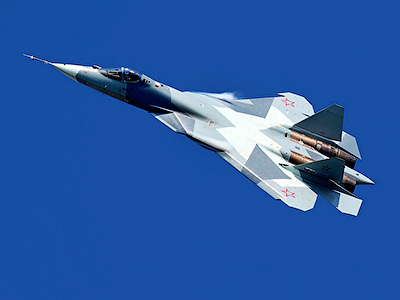 As Varyag paraded its military might on the open seas, RT’s correspondent dared to get within earshot of the maneuvers. ­As well as learning to appreciate some traditional military spit and polish, she managed to meet a whale, learn sailors’ secrets and find out why the marines are so keen to get to hospital. The maneuvers started in the morning with the missile cruiser all ready to flex its military muscles. We could see two more ships in the distance, but I was told that a total of 50 vessels, including 4 submarines, were taking part in what turned out to be the most high-profile maneuvers of the last 20 years. Firing exercises were just one part of the overall plan. And the operations would only be counted a success if Varyag intercepted each and every missile fired at her. "You can observe from your cabin," I was told. “Only the cameraman will be allowed on the deck." "Right, that’s your seaman’s superstition in action, like never let a woman on board…" I objected. "Our only superstition is safety," came the chastening response. And it was immediately clear that there was no point in arguing. As it happened, I could hear everything from my cabin and occasionally see some things too. I glimpsed a missile heading for my side of the ship. 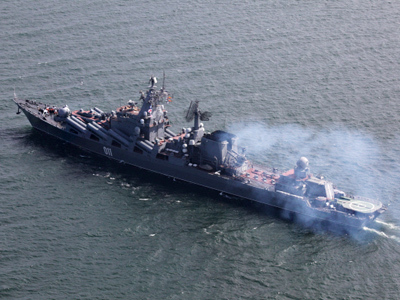 Varyag immediately responded with its electromagnetic weapon which deflects enemy missiles. Next to engage was the anti-aircraft missile system Fort mounted right on the deck. The missile shot up vertically and after a few seconds, changed its course to chase the target. Varyag did not engage all of its weapons, of which the ship has a wide variety – each with its own purpose. Those that did fire, however, completed their task successfully; at least that’s what the captain reported. I was unable to verify this though, as the targets were too far away to make out. Varyag has a wide variety of missiles – each with its own purpose. At any rate, the report had it that all the surface targets were destroyed and all the underwater targets neutralized. We were told that a few third-party submarines were detected in the maneuvers area – they were there to observe but failed to remain unnoticed, and once they were detected they had to retreat. 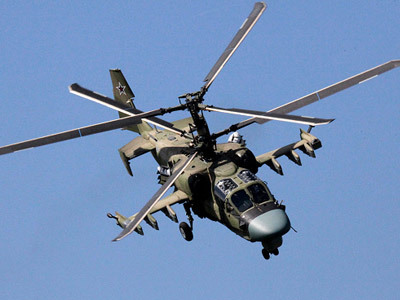 That’s what Viktor Sokolov, the flotilla’s commander told us. His strict and serious manner was understandable – everyone on the command bridge was very focused. Although they did their best to answer all our questions, you could see on many faces the silent question, "Why us?… It’s maneuvers, it’s dangerous, and the last thing we need is a bunch of civilians…" The duty officer Artur rescued the commanders by reporting to the bridge with news of "a whale – on the port side." Instantly, all the journalists vanished to get a look. I strained by eyes to get a glimpse of the creature. Finally, I noticed a fountain far in the distance, and then a hint of a black shiny body, although I am ready to believe I simply imagined it all just because I wanted so much to see the whale. I will never know. "Hey, did you just pull our leg, or was there really a whale?" The duty officer fidgeted from foot to foot and said there was. I couldn’t help noticing he was wearing old-fashioned felt boots, and he assured me they were the warmest type of footwear ever. The whale was there, he can’t have been mistaken as he’s been the duty man for a long time now and has a good eye for things like that. And the weather is good, in contrast to winter time which is the real nightmare. In this weather, looking into the sea for 4 hours to make sure everything is alright is easy. I tried to imagine how long I would last doing the same. Perhaps five minutes, 10 at most, after which I’d slowly but surely start losing my mind. But it turned out that sailors have their own secrets. Some press special points on their ears, others read poems. If the sea is rough and it’s very cold outside, a sailor mutters something cheerful below his breath to keep his spirits up. When it’s hot, they can read about winter, and it’s always good to read about love. Polishing the bell two hours a day is an honored maritime tradition. “You are a lady and it’s hard for you to understand. They are not supposed to have free time at all. It’s necessary to keep sailors busy all the time to prevent stupid thoughts from coming to their minds and also to avoid hazing in their ranks. That’s when they push each other around,” the cameraman said. “Believe me, the quicker time flies for them, the better,” he added. I immediately recalled how I had asked an officer taking part in land exercises what was the most complicated task for him. I was sure that he was going to say something about descending to the sea in an armored vehicle from a carrier ship or trying to reach the shore amidst bursting shells or the fear of being hit by a shell. Even journalists standing at a safe distance risked being hit. So we can only imagine how hard it must be for the soldiers. Do you know what he answered? 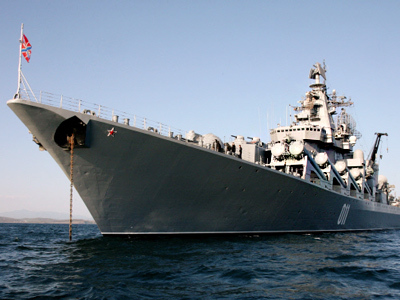 It was ten days of inactivity when the ship was sailing from Vladivostok to Kamchatka to participate in the exercises. The ship’s crew trained continuously while the paratroopers simply had to wait. Yes, that explained a lot. I now understood why sailors are constantly rubbing floors, painting or mending things, or running around dressed as firefighters practicing fire-extinguishing techniques – and why the oven in the bakery is small. Some sailors confessed that it was very hard for them at first, but eventually they got used to the ship’s ways and life suddenly seemed fine and ‘as it should be.’ And that is the only possible way. Otherwise, sailors will keep remembering the loved ones they left behind on the shore. They can fall into depression if a girlfriend finds another man. But if a sailor is busy, he has no time to think about these things. As we were about to leave, an officer came up to the captain’s mate and said one of the sailors had had to be taken ashore because he had appendicitis and had to be rushed to hospital. "He’s lucky," the captain’s mate answered, to my surprise. The only character who did not want to go ashore was a ginger cat. A boat picked us up late in the evening. It was raining. Unlike most cats, this one was absolutely not afraid of getting soaked to the skin. He was sitting on the deck to see off those funny and amusing civilians who were heading for the shore. Read the first part of Lidia Vasilevskaya’s report from Varyag.